A lot of the information listed below are Wikileak the Jerusalem Fund reposted. Please let me know if you have screen shots/links back etc. #1. Qatar's Prime Minister met with Senator John Kerry and discussed a variety of issues including Qatar's views on the Palestinian issue. At the time, the Prime Minister suggested proximity talks which were ongoing between the Israelis and Palestinians would waste time - in his estimate 4-6 months. He also emphasized that negotiations without Hamas are unlikely to be fruitful since the "Palestinian Authority (PA) cannot sign off on an agreement on behalf of the Palestinians where open divisions exist." To no one's surprise, Qatar's PM was not keen on the role Egypt has been playing in the region. Egypt, which has "no end game" in mind when it comes to brokering Hamas-Fatah reconciliation talks, is like a doctor relying on only one patient for business: "the physician is going to keep the patient alive but in the hospital for as long as possible." #2. Egypt's head of General Intelligence Omar Suleiman would provide little evidence to suggest the Qatari leader's criticism of their biased brokering was untrue. In a conversation with U.S. General Patreaus he stated that "Egypt's three primary objectives with the Palestinians were to maintain calm in Gaza, undermine Hamas, and build popular support for Palestinian President Mahmoud Abbas. " 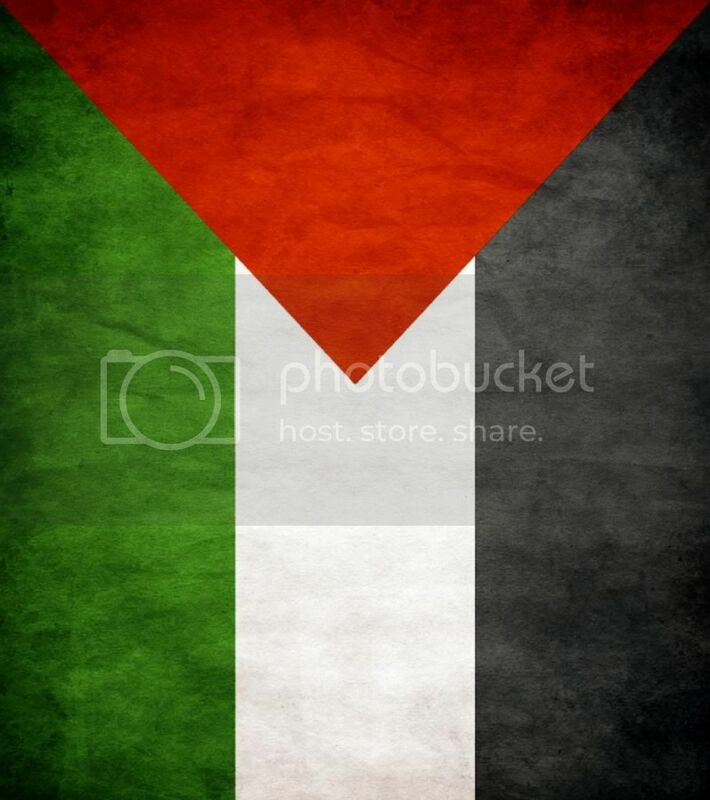 Suleiman also stated that Egypt would continue to be committed to Palestinian reconciliation. "It is hard," he said, "but I am always optimistic. I consider myself a patient man, but I am loosing [sic] patience." #3. Israeli Prime Minister Binyamin Netanyahu met with U.S. Senator Benjamin Cardin (D-MD) just before becoming prime minister again and forming the current Israeli coalition government. When describing "his approach to 'economic peace' with the Palestinians, Netanyahu suggested he would cut through bureaucratic obstacles to Palestinian economic development to build a 'pyramid' from the 'bottom up' that would strengthen the Palestinian Authority, and offer the Palestinians a viable alternative to radicalism." He also indicated he wasn't interested in a sovereign Palestinian state emerging in the West Bank, but rather "an agreement over territory,settlements and 'refined' Palestinian sovereignty without an army or control over air space and borders." Further evidence of Netanyahu's stance, which he states is not unlike Livni's, is described in a cable about a meeting between Netanyahu and a Congressional Delegation (CODEL) in late April 2009. He states "A Palestinian state must be demilitarized, without control over its air space and electro-magnetic field, and without the power to enter into treaties or control its borders. Netanyahu concluded that he and opposition leader Tzipi Livni 'only disagree about the name,' i.e. the two-state solution." #4. An Israeli assessment of Palestinian leadership: "Of particular interest throughout the meetings was the subject of the Palestinian political situation. It was widely agreed that President Abbas is currently in a weakened political state, and Israeli officials generally cast a dour assessment of Abbas's future. In one exchange, Amos Gilad stated his opinion that Abbas will not survive politically past the year 2011. Gilad further stated that Abbas is facing unprecedented criticism within the Palestinian Authority over his handling of the Goldstone report, and that this, coupled with a stubborn HAMAS, has weakened Abbas considerably. The Israelis said the perception in the Arab world was that the U.S. had encouraged Abbas to take difficult positions on Goldstone and settlements only to walk away from him. ASD Vershbow queried Gilad over measures that could be taken to bolster Abbas. Gilad responded by stating that Israeli-Palestinian peace discussions need to be resumed immediately, but without preconditions, and that both parties need to seek further cooperation on a range of issues -- specifically on the security sector front. Gilad expressed optimism over the current atmosphere in the West Bank, citing improvements in the security and economic spheres, and further stated that the reduced Israeli Defense Force (IDF) footprint in the West Bank has made conditions ripe for advancing the relationship." #5. This cable, from a 2007 meeting between U.S. Congressmen and Netanyahu, sheds light on Netanayhu's strategy vis-a-vis Hamas and Fatah: "Netanyahu said Abbas was a 'nice man who means well,' but he added that Israel and the U.S. should focus on 'bringing down Hamas' through an 'economic squeeze'...Netanyahu predicted that Palestinians would vote for Abbas if they believe that he can deliver the money. He suggested putting in place an 'economic squeeze with an address,' so that Hamas would receive the popular blame." #6. Israel-PA consultations before Israeli assault on Gaza? According to Israeli Defense Minister Ehud Barak in this cable: "the GOI had consulted with Egypt and Fatah prior to Operation Cast Lead, asking if they were willing to assume control of Gaza once Israel defeated Hamas. Not surprisingly, Barak said, the GOI received negative answers from both." #7. Europeans, particularly the French, are not pleased with their role in peace process: "A sense of frustration and ambition informs the French approach toward the Middle East peace process: they are frustrated that they must rely on the USG and on stubborn parties in the region to end a conflict whose persistence adversely affects their national interests, and they are ambitious to play a larger role in the peace process, in order to facilitate a successful outcome and to enjoy the prestige that such a role would earn them. As a case in point, last week Kouchner had to cancel a planned visit to Israel and the Palestinian territories in part because of the continuing tension there, and in part because of Israel's refusal to allow him to visit a French hospital in Gaza." #8. Germans suggested using Goldstone Reports at UNSC as leverage over Israel's policy of home demolition: "Heusgen said that Germany 'perceives this differently' and thought Netanyahu needed 'to do more' in order bring the Palestinians to the negotiating table. With Palestinians in East Jerusalem getting notices from Israeli authorities that their houses will be destroyed, it would be 'suicide' for President Abbas to move under the current circumstances. Heusgen said he could not fathom why Netanyahu did not understand this. He suggested pressuring Netanyahu by linking favorable UNSC treatment of the Goldstone Report to Israel committing to a complete stop in settlement activity. Gordon said that making a direct linkage between the two would almost certainly be counterproductive, but agreed that it was worth pointing out to the Israelis that their policy on settlements was making it difficult for their friends to hold the line in the UNSC. Heusgen said this certainly would be an issue when Netanyahu and 'half of his cabinet' visit Berlin on November 30 for bilateral government consultations." #9. UAE reaction to Hamas 06 election victory: The UAE 'felt the Muslim Brotherhood rally behind Hamas' after its electoral victory in the Palestinian territories, and that the Hamas victory should be a lesson to the West. UAE Vice President and Prime Minister Sheikh Mohammed bin Rashid sounded a note of optimism when he told Secretary Rice February 23 that Hamas, 'with some pressure,' would understand the need to respect the will of the international community." #10. Israel loves cooperation with PA: Amos Gilad "noted that Israeli-PA security and economic cooperation in the West Bank continues to improve as Jenin and Nablus flourish, and described Palestinian security forces as the 'good guys.'" Bonus #11. French President Sarkozy "called Prime Minister Netanyahu directly on October 26, to urge him to establish an independent investigation into the actions of the Israeli Defense Forces in the Gaza conflict. Sarkozy told Netanyahu that such a step would decrease pressure on Israel and its allies stemming from the Goldstone Report, but Netanyahu responded briskly: "No way." This preceded an Israeli-French strategic dialogue which included significant discussion about the peace process. The French and the Israelis did not see eye to eye and this made an Israeli official to describe "Franco-Israeli discussions on the status of the peace process itself resembled a 'conversation of the deaf'."